India is a beautiful country full of diversity. Some of the major Hindu festivals celebrated here are Makar Sankranti or Pongal, Holi, Durga Puja, Ganesh Chathurthi, Diwali, Ram Navmi, Ugadi, Onam and the list goes on and on. 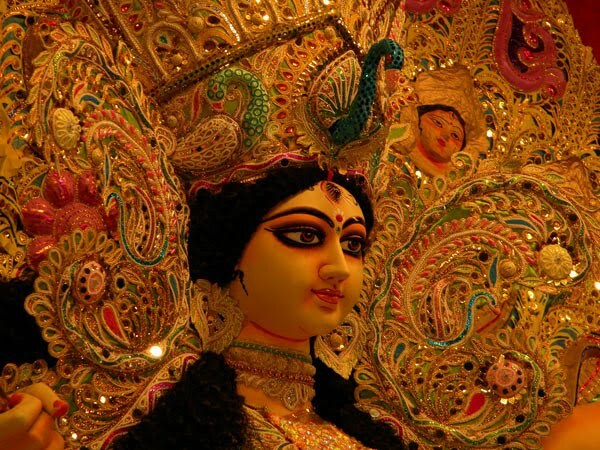 Durga Puja is one of the biggest and most important festivals of India. It’s celebrated in every parts of the country with a lot of devotion, pomp and show. 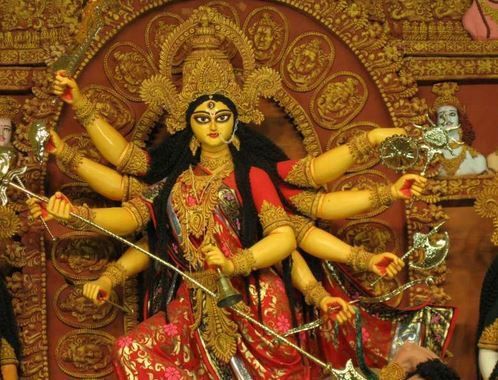 During Durga Puja mother Goddess Durga is worshiped. It’s a celebration of the victory of the Goddess Durga over the evil buffalo demon Mahishasura. 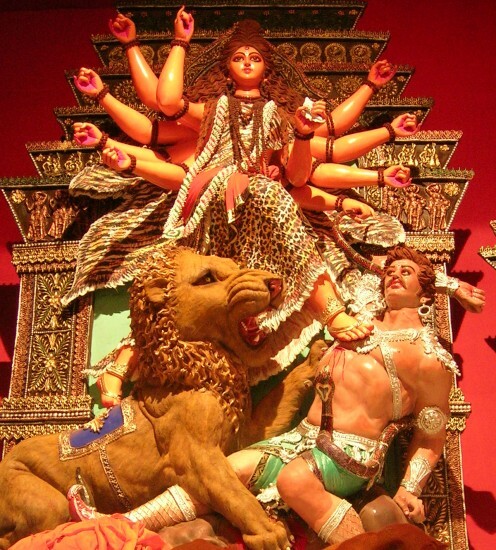 Durga Puja or Dussehra is a 10 day celebration and marks the victory of good over evil. 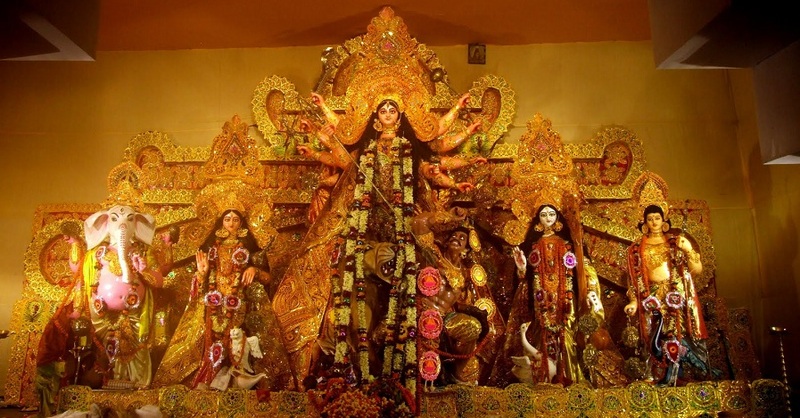 Nine different forms of Goddess Durga are worshiped one by one on each following day. The tenth day is known as Vijayadashmi which signifies the victory of Goddess over the demon. During Durga Puja magnificently crafted sculptures of Goddess Durga are installed in homes and beautifully decorated podiums all over the country. Hindu scriptures depict Goddess Durga as a warrior with ten arms, carrying different weapons and riding on a lion. Devotees worship the Goddess Durga and seek her blessings for a happy life. After ten days, the festival of Durga Puja comes to an end. The idol is then immersed in water. Dussehra and Navratra are celebrated on a very large-scale and with just a few days left, preparations are in full swing. Everyone is cleaning and decorating their house, preparing sweets and other delicacies, and doing tons of shopping for family and friends. 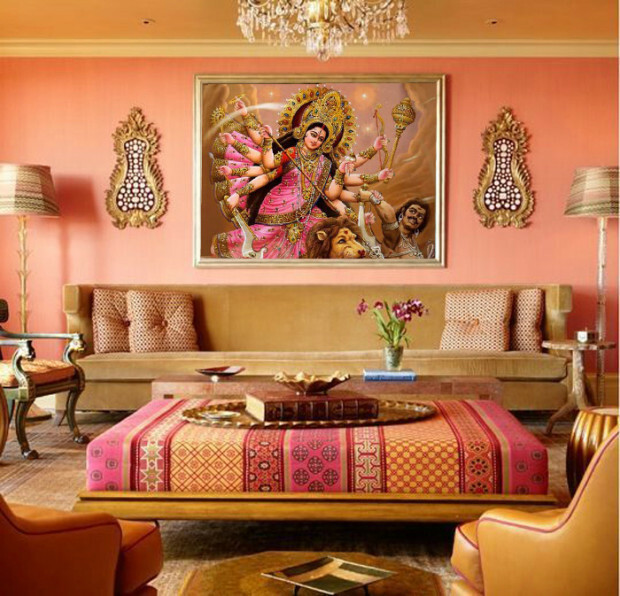 Here are some Durga Puja decoration ideas to help you decorate your house. The first step towards preparing your house for any festival is cleaning and de-cluttering. So, clean your house, throw or give away anything that you don’t use or need. A clean house attracts positive energy and blessings of the Goddess. Decorate your house with diyas. 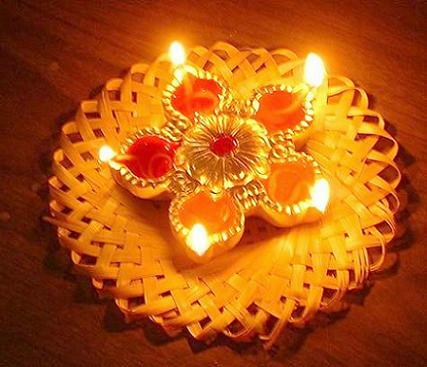 Diyas are small earthen pots that are lit during festivals. They are available in many designs, shape and color. They won’t cost you much but looks fabulous when lit. Go ahead and use some colorful flowers to add aesthetic appeal to your home. Arrange them in beautiful patters on the floor. 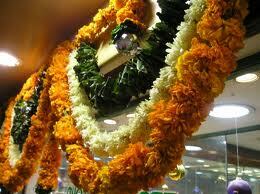 You can decorate your puja room, living room, hall way or your entrance with them. 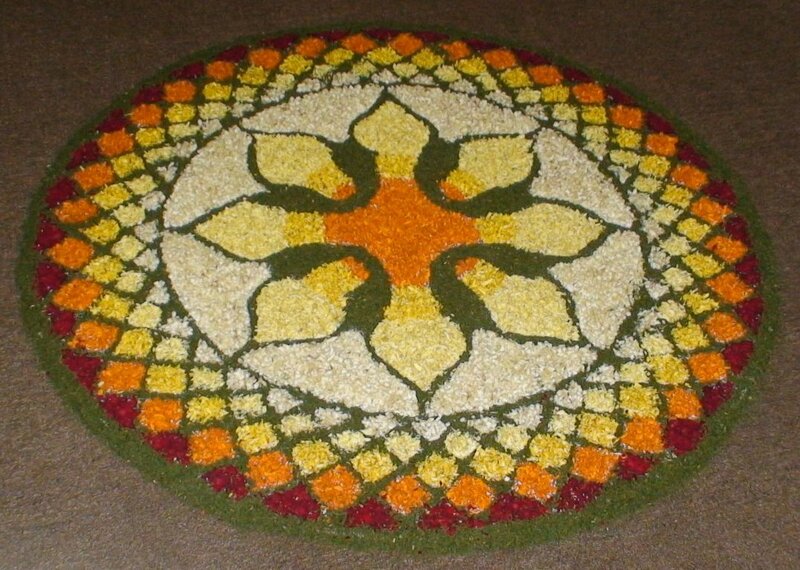 Rangoli is an integral part of Indian culture and no festival can do without it. It is made using rice flour, colored sand, colored rice and flower petals. This traditional art form is deep-rooted and has been passed from one generation to the other. 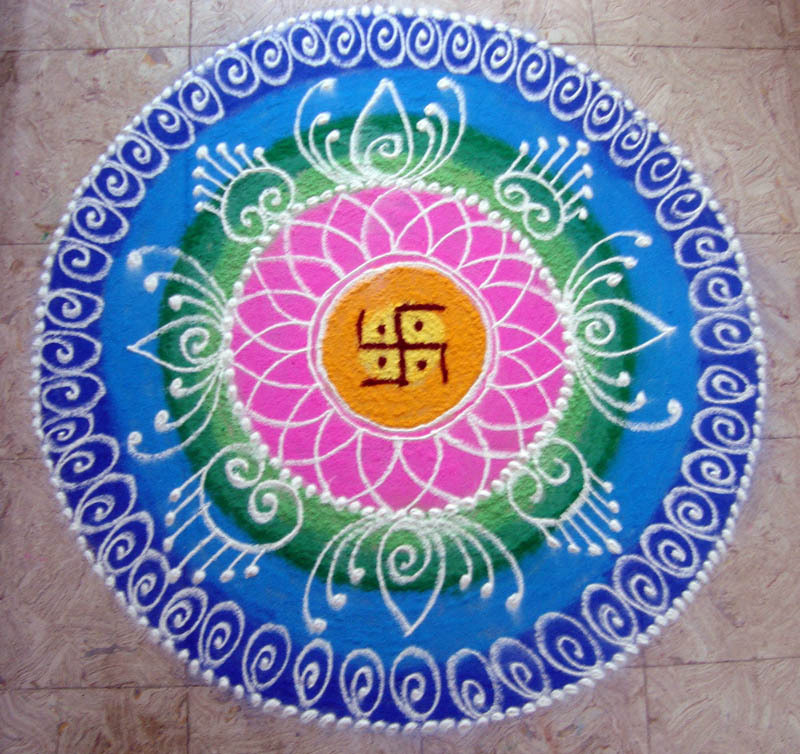 Rangoli can be made in simple geometric pattern or an elaborate one. They are generally made by women at the entrance or courtyard of the house. Decorate your home with floating candles. 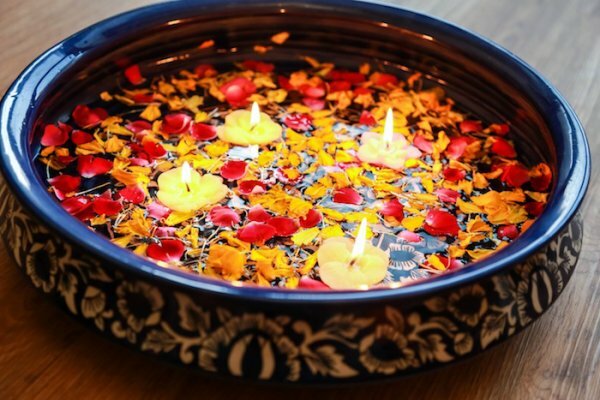 Fill a vessel with water add some flower petals and floating candles to it. You can place it in your living room or hallway to add a personal touch to it. 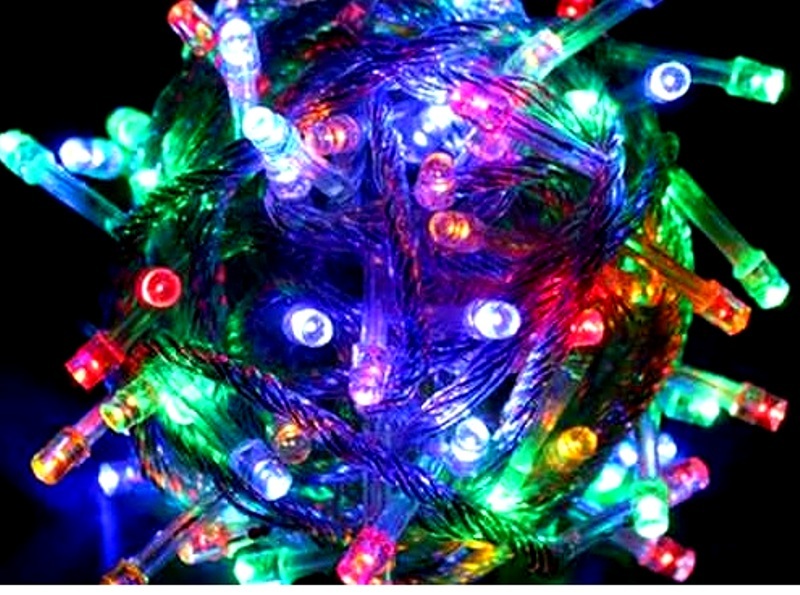 You can also use colorful LED lights to brighten up your house this festive season. Put up these string lights anywhere you wish and make it appeasing. 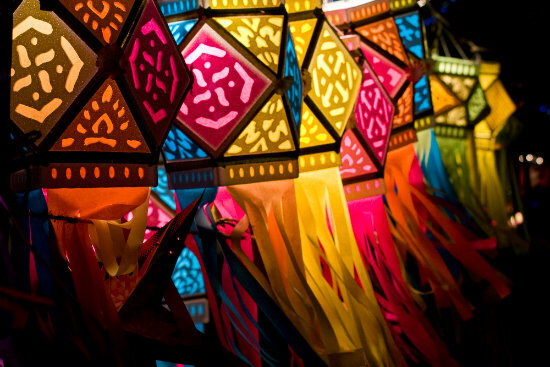 Choose these stunning, gorgeous paper lanterns to decorate your house. Hang them and see how they transform your house into a beautiful space. Decorate the entrance to your house by hanging flowers on the doors. Apart from beautifying your house, it’s believed to bring good luck, peace and harmony into it. Hope you guys found this article helpful. 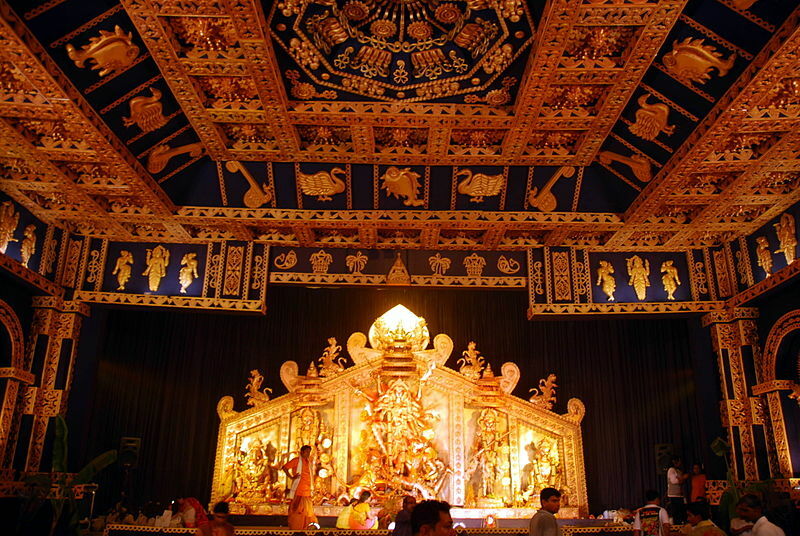 Try these Durga Puja decoration ideas and get lots of blessings from the Mother Goddess. This entry was posted in Decor, Pooja Room and tagged Decoration Ideas, Durga Pooja, Durga Pooja Decoration, Durga Pooja Decoration Ideas, Durga Puja, Durga Puja Decoration Ideas, Durga Puja Decoration Ideas for Home, Festive Decor, Home decoration for Festivals, Home Improvement Ideas, Home Makeover Ideas, Home Makeover in India, Navratra Decoration, Pooja Room Decoration Ideas for Durga Pooja by Homemakeover. Bookmark the permalink.